It can be hard to keep the pacing tight in any novel, but imagine the pressure when writing suspense! This week, we interviewed Love Inspired Suspense author Kathleen Tailer. Today, we bring you a post from our archives on writing high-stakes, suspenseful romance. We asked some of our wonderful Harlequin Romantic Suspense and Harlequin Intrigue authors how they build and maintain suspense when they write. Check out their expert tips below! To keep the suspense and tension building in my stories I start with a list of twenty things that could happen that would get in the way of my main characters’ goals. These conflicts would start out bad and only get worse. When I feel the pace slowing, I laugh and say I need to blow up something (Stephen King style). If not physically, then figuratively (on the pages!). No, I don’t keep sticks of dynamite in my desk drawers. I like to keep my readers guessing at the end of a chapter. Will the hero save the day? Will the heroine fight her way out of the mess? Will they work things out for an HEA? I don’t want my reader to set down the book. If she does, I haven’t done my job! Find books by Elle James here. My favorite device in suspense is to use “The Man in the Closet.” I’m sure you’ve seen it in films, although you may not have noticed it in a novel. The scene opens, we are looking through a crack in a doorway from a dark interior. The victim enters the dwelling and goes about his/her normal activity while the camera continues to peer through the crack. The audience knows something bad is about to happen, but the victim hasn’t any idea he or she is being watched. I believe that often suspense can be increased by letting the readers know the danger is approaching, or even who is the threat, while the characters have no idea. 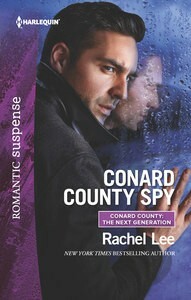 Find books by Rachel Lee here. Gee, that’s a tough one, because I’m the most surprised woman in the room when I say I write romantic suspense. That said, I guess my best advice is, sprinkle scenes with your villains and their goals throughout your manuscript—villainous though they might be, they must have concrete goals that conflict with the hero and heroine’s goals. But the closer you get to the end, the closer those scenes should be to each other. This creates a sense of immediacy. Urgency. It raises the stakes—something bad is coming down, and the reader knows it because you’ve picked up the pace. Sometimes the reader (but not the hero and heroine) knows upfront who the villain is. The hero and heroine spend most of the book trying to solve the mystery, while the reader is holding her breath hoping they figure it out in time. Sometimes the reader is left in the dark along with the hero and heroine, and that info is only revealed in the denouement. In both cases red herrings are crucial—someone who might be the villain but isn’t. If it’s glaringly obvious who the villain is and the hero and heroine can’t figure it out, they’re going to come across as stupid, and your reader won’t be rooting for them. And the reader has to care about the outcome. Otherwise… Good luck and good writing! Find books by Amelia Autin here. Are you suspense-savvy? Let us know your best tips for keeping the tension going in the comments below!